Biosphere Reservation of Srebarna is situated at a distance of 2 km south from the river Danube and 16 km from Silistra, on an area of 600 ha. It covers the lake Srebarna and the territories near it. Its fame is related on one hand to the fact that it is situated exactly on the way of the migratory birds from Europe to Africa-Via Pontica, and on the other hand to the unique and diverse species of water birds in it. In 1942 the lake was declared a breeding farm for water birds and in 1948 it obtained the statute of a bird reservation. In 1983 the lake Srebarna was included in the list of sites of global natural and cultural inheritance of UNESCO. 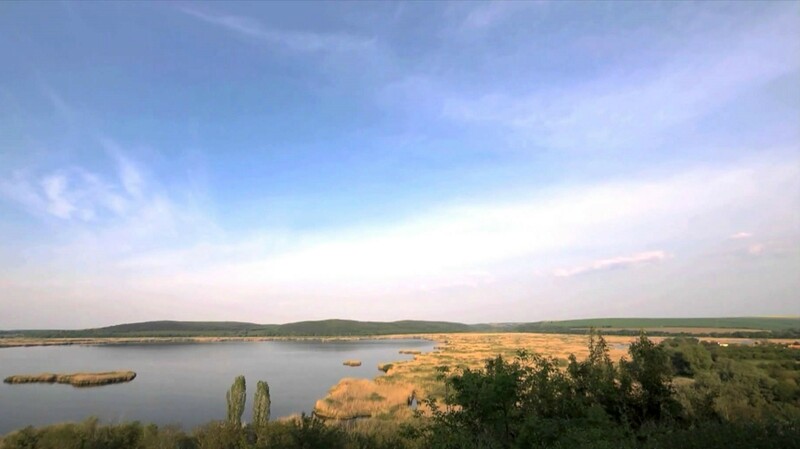 The aim is to preserve the biological diversity with which the lake had been famous among the Bulgarian and the European scientific society since the beginning of the 20th century. The floating reed islands where the birds build their nests are another interesting attraction. In 1965 the reservation was included in the list of the most valuable damp areas in Europe, and in 1975 it was declared a damp area by the Ramsar Convention. A Museum of Nature and Science was built on the reservation where stuffed animals which have inhabited the lake can be seen. Another interesting attraction is the option for the tourists to observe the birds by a video camera, placed in the lake. An eco-path is made around the reservation, where the visitors can enjoy the pleasant view from specially constructed observation platforms. Golden Sands Natural Park is the smallest natural park in Bulgaria. It covers an area of 13.2 m² and it is located 17 km northeast of the sea capital Varna, along the seashore. The Natural Park surrounds the resort complex Golden Sands. The park is 9.2 km long. Its highest point is 269 m above sea level and its average altitude is 110 m. The park was established in 1943 and its main purpose was to preserve and protect valuable plant and animal species, along with the typical landscapes. Five special and five tourist routes have been developed for tourists and nature lovers. They present the biological and landscape diversity of the site and they are suitable for hiking, natural cognitive tourism, biking, children’s tourism, photo tourism, tourism for people with special needs. Recreational sites are built along the routes and there are many viewing places in the park, which reveal the sea, the park and resort panoramas. The National Park “Central Balkan” is situated in the heart of Bulgaria, in the central and highest parts of the Balkan Mountain. It keeps a unique collection of forest massifs, plant and animal species, historical monuments of global significance for science and culture. Incredible landscapes, rock phenomena, beautiful waterfalls can all be seen here. The park occupies a total area of 72.021 ha. The highest peak in the park is Botev peak, on an altitude of 2376 m. In 2003, the National Park “Central Balkan” became a member of PAN Parks, which is an international appraisal of its well-preserved and managed wild nature. In 2004, it became a holder of a PAN Parks certificate, meaning that the protected territory is protected because of the great significance of the biological diversity inside it, but also because of its role for public development through sustainable tourism, source of the means of living of the local people. Central Balkan is one of the most pleasant places for walking tourism in Bulgaria. Places for relaxation, options for observation of beautiful views and sites are constructed for tourist attraction. Specialized routes are developed, such as: 10 routes for horse riding, 4 for cycling, routes for observation of birds, plants, large mammals, cultural and historical tourism, speleological tourism, photo-safari and alpine routes. The visitors of the national park can enjoy Bulgarian cuisine and the hospitality of the people, as well as the specific folklore and various crafts. 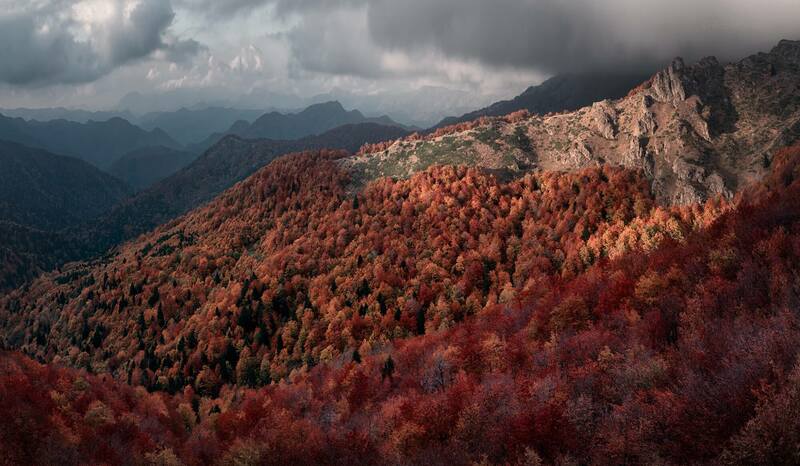 National Park Rila is situated in the southwest part of the country, in Rila Mountain. The park has a total area of 81.046 hectares and it is the largest one of the three national parks in Bulgaria as well as one of the largest in Europe. It was declared a national park in 1992. 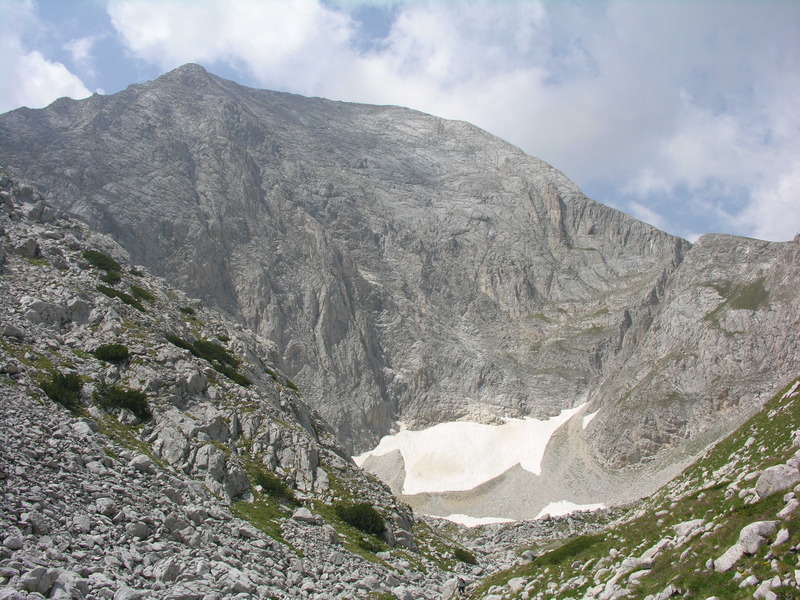 There are more than 100 peaks on the territory of the park, with an altitude of over 2000 meters; the highest peak in the country and on the Balkan Peninsula is among them – the Musala peak (2 925 meters high). The beautiful landscapes and the rich flora and fauna, have contributed for an important tourist development. The park offers a special zone, called Intensive Tourism Zone, which includes a network of paths and shelters, as well as accommodation options facilities, located in the park. There is a wide range of activities for tourists: horse riding, cycling, skiing on specified routes, camping, mountaineering, etc. A botanical trail was built for the wild nature lovers. There are 4 reserves in the national park, among them Parangalitsa, included in the list of biosphere reserves under the program “Man and Biosphere” of UNESCO, in March 1977. Natural Park Vitosha is the first park in Bulgaria and on the Balkan Peninsula. It was declared a national park in 1934. In 2000, the park was categorized as Natural. Its territory has 27.079 ha. The longest cave in Bulgaria named “Duhlata”, with length over 18km is the landmark of the park. The cultural value of the park is emphasized with the two monasteries on its territory, one from the 14th century and the other one from the 19th century. The Boyana Church from the 10th century is situated on the park border and is included in the UNESCO List of Global Cultural Inheritance. The vegetation of the park is extremely rich and diverse and the mountain is characterized by rich and diverse spineless fauna. 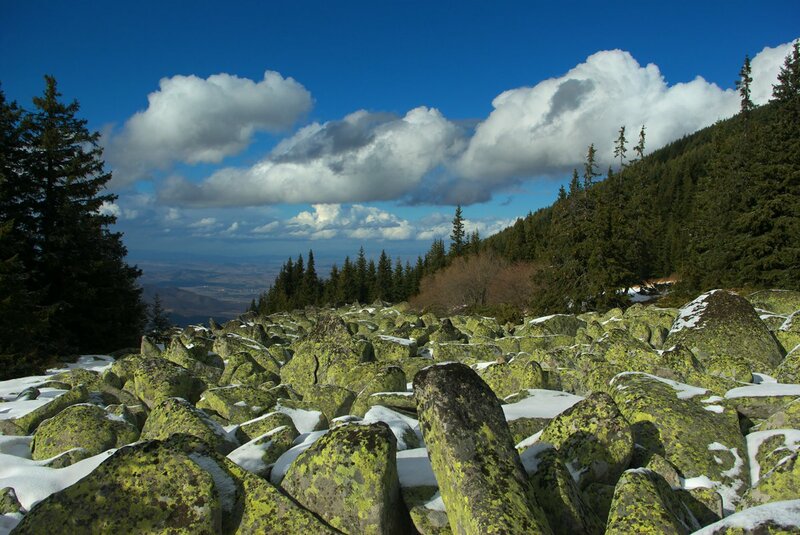 Vitosha Mountain is preferred place for resting for many residents of the capital. It is also a popular destination for the admirers of winter sports. There are two ski centers in the mountain- Aleko and Konyarnika. The total length of the tracks on the mountain is 29km, as the longest of them is 5km long. The tracks are suitable for advanced, as well as for beginner skiers. The required installations are available on all ski tracks: a number of seat lifts, one cabin lift, starting from the outskirts of Vitosha and almost reaching the mountain top. Pirin National Park is located in the Pirin Mountains, in southwest Bulgaria. The park includes seven municipalities in the district of Blagoevgrad. 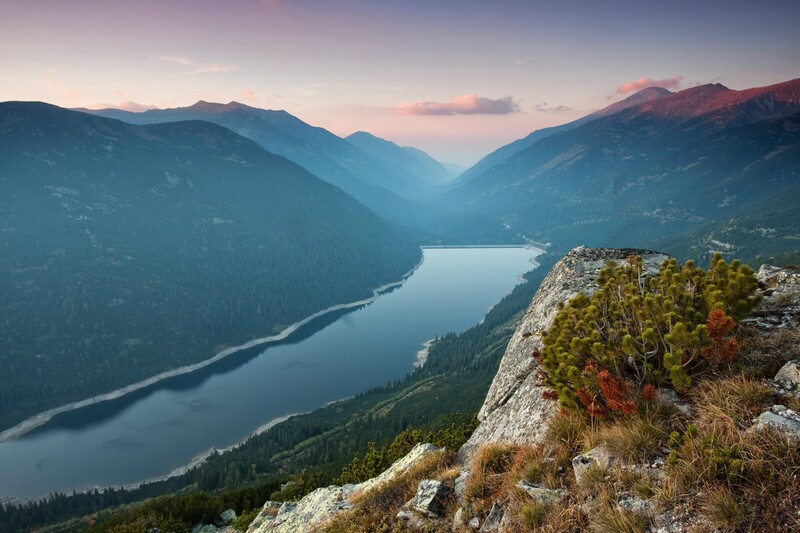 In 1962, when the Pirin National Park was established, it covered 6.212 acres and over the years the territory of the park increased many times over, and it now covers 40.000 acres. Since 1983, the park has been protected as a UNESCO Heritage Site. 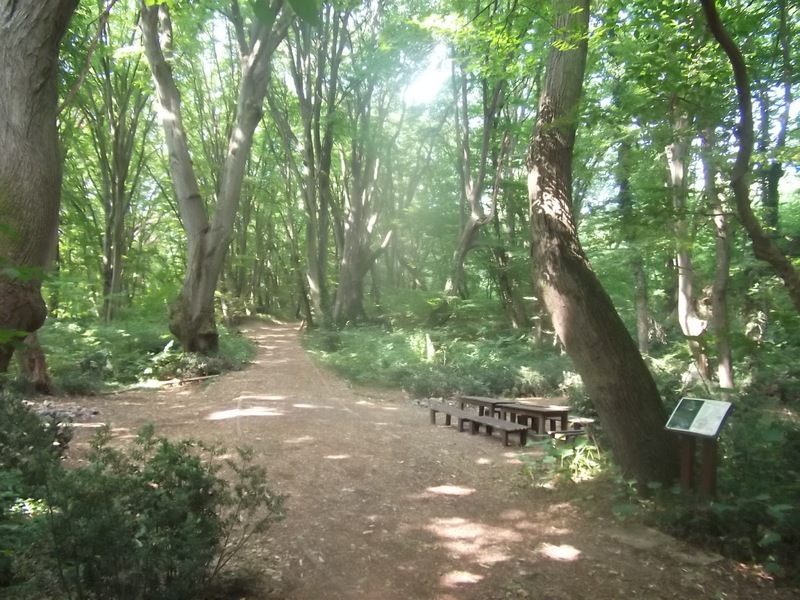 The park includes one of the oldest reserves in Bulgaria, included by UNESCO on its list of reserves as part of the “Man and Biosphere” program in 1977. Within the park there is a wide variety of plants and kinds of animals, as well as 40% of all the bird species in Bulgaria. Despite the different types of tourism offered, such as hiking, mountaineering, cycling, skiing and cultural tourism, the park’s main information center in Bansko (one of the most popular Bulgarian ski resorts), houses an interactive exhibit of the park’s forests with 22 modules, allowing visitors to acquaint themselves with interesting facts about the park’s trees, animals and vegetation. The center also offers lectures prepared by staff experts. The Pirin National Park is an extremely important resource and visitors take great care to preserve the beauty by not littering. Hunting is strictly prohibited, as is fishing in many of the park’s rivers. Logging is also forbidden, as is tampering with the park’s signs and trail markers. 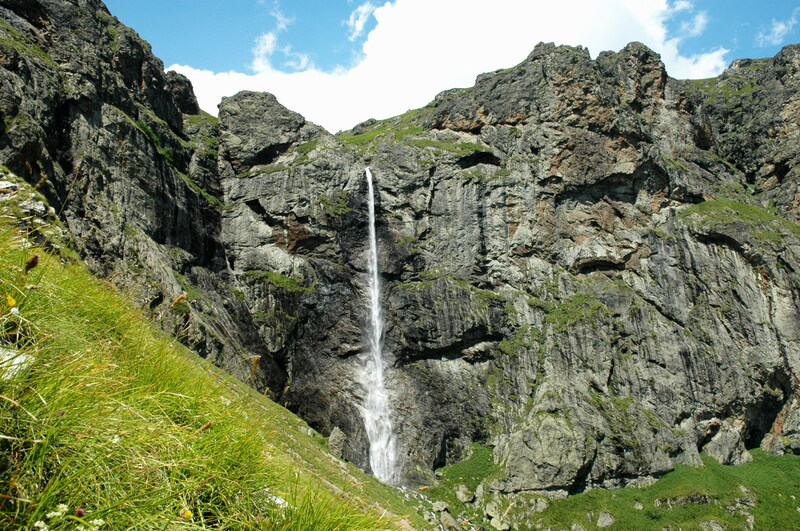 Raysko Praskalo Waterfall is the landmark of the Central Balkan National Park. It is not only the highest one in Bulgaria, but also on the whole Balkan Peninsula, with a total height of 124.5 m. This scenic beauty attracts many hikers and admirers of the beautiful sights. The place is mainly visited during the summer season, when the waters of the waterfall are highest. The Seven Musala Lakes are the landmark of the Rila Mountains, located beneath the Balkan’s highest peak, the Mount of Musala. 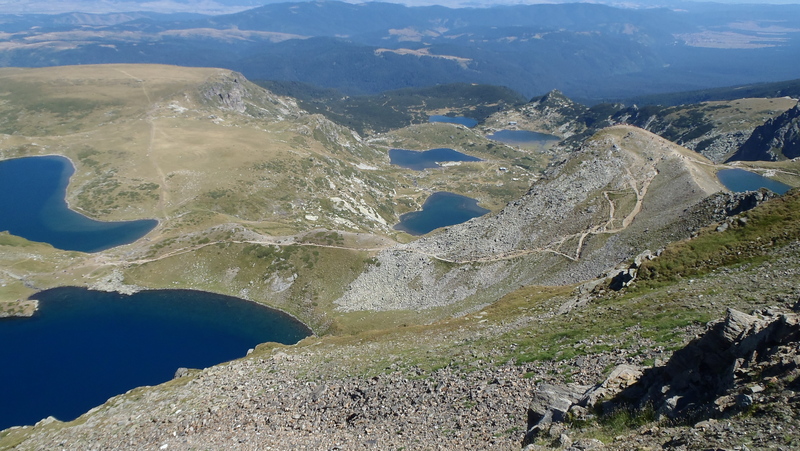 In the Rila Range, there are more than 120 permanent glacial lakes and roughly 30 that are seasonal.